I wanted to share two of my absolute favorite antique malls. 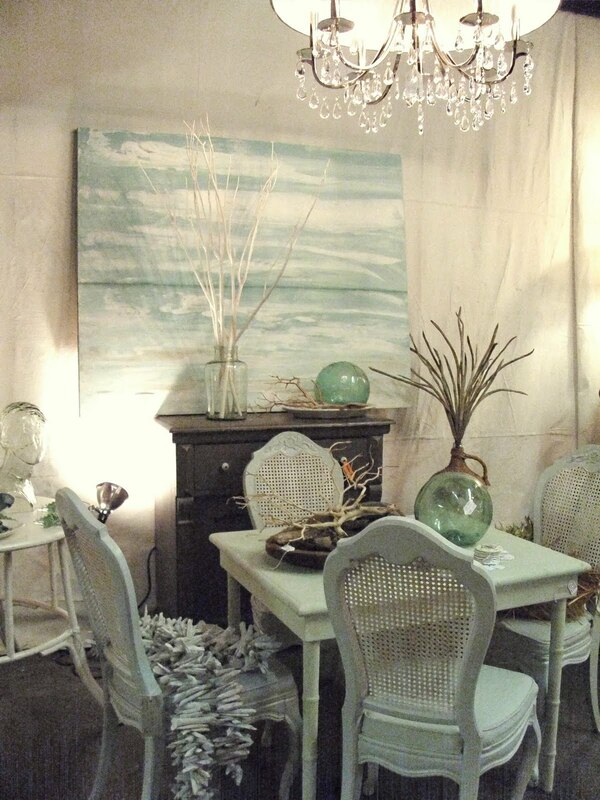 Smith’s Antiques and Antiques On Holiday are both located in Destin, Fl. Every time we head to the ﻿beach house these two shops are on my “must go” list. When we lived full time in the area I had booths in both Smiths and the owner of Antiques On Holiday previous shop, Bienvenue. This piece of coral was amazing! 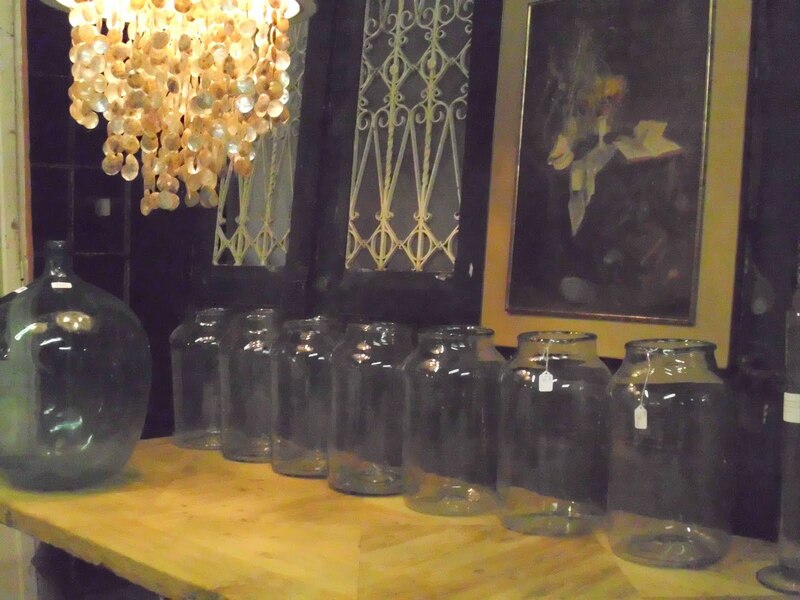 There were hundreds of these French Pickling jars but that didn’t keep the price down. Love them but at $125 each I had to pass. 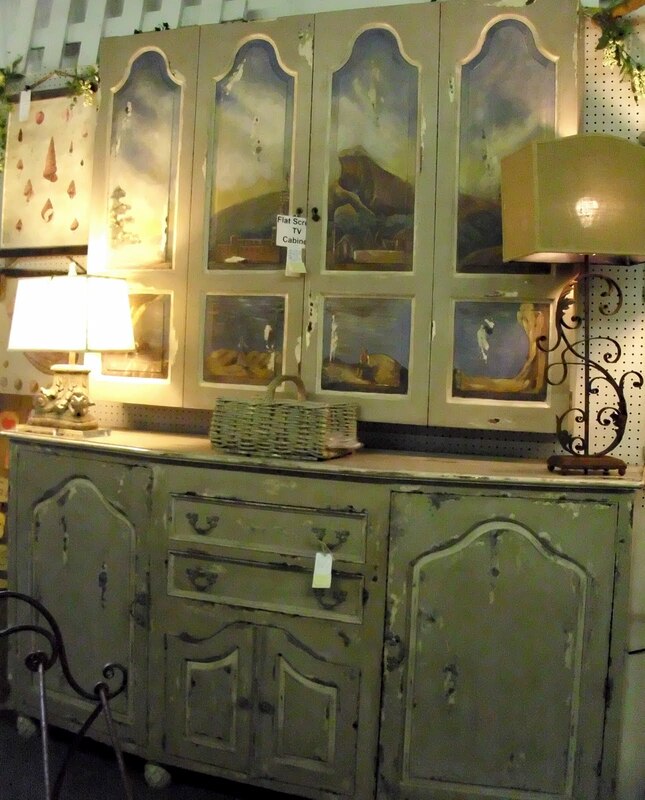 The dresser is fabulous but my favorite piece is the cabinet above that was custom made for a flat screen TV. Why is it when you are flying you always see BIG things you would like to purchase? I would have taken those shutters home with me if Delta was a little more flexible about carry-ons! 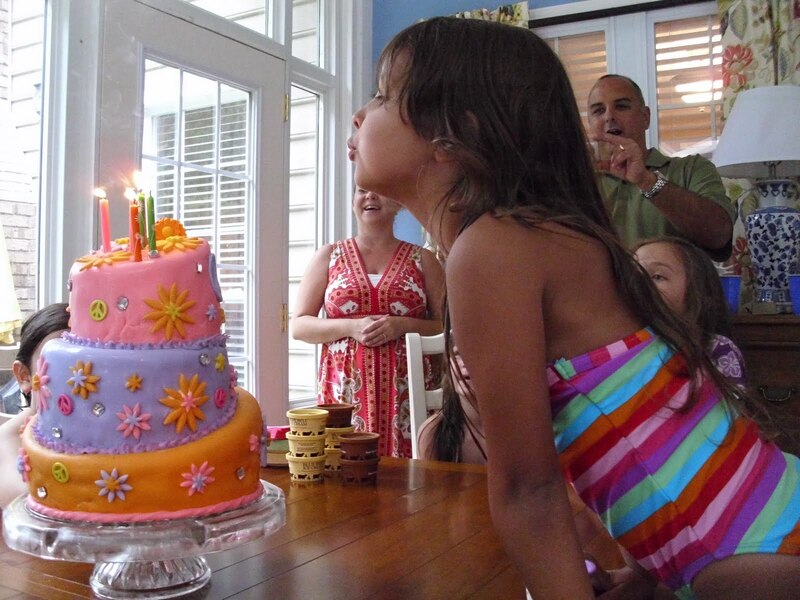 The main reason for the trip last week was our granddaughter’s birthday and to visit with family. Here are a few pictures of our grandchildren. Our daughter-in-law and son are in the background. Can you believe my DIL made this Topsy Turvy birthday cake? I thought she did a fabulous job and it was yummy too. 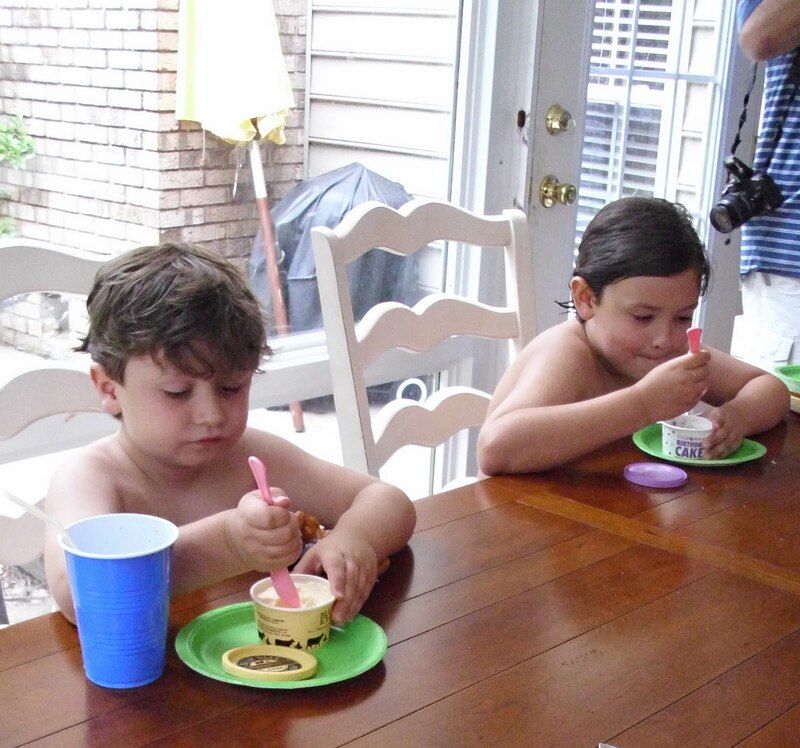 Two of our grandsons enjoying the ice cream. This was a swim party and all the children had a wonderful time in the pool. Thanks to everyone that joined this weeks Open House Party. 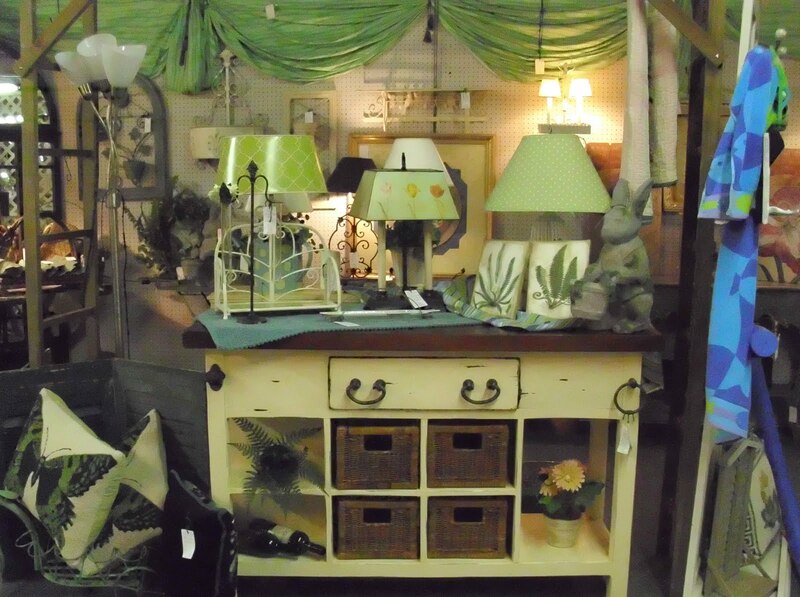 I love these antique malls in Destin! They are such a fun place! The Table and chair set in the first picture is amazing! Your DIL did an outstanding job on the cake! What an adorable bunch! Thanks for sharing your trip and special birthday! I love Watercolor and Seaside! Thanks for posting these gorgeous photos, Sherry. We have not been since last Spring Break, and I don't think we'll make it this summer. That birthday cake is adorable! I hope you are having a great time! Sherry, I love that t.v. cabinet, too and the piece below it. Amazing finish. I want to paint my hutch in the dining room and this just makes me want to do it more. Not sure the mister will approve. Have fun with the grands. yes, they really should turn up the lighting in those shops so that we bloggers can get great bright photos of all the loot. but I must say to you that your photos are excellent, I felt as though I was shopping right along with you….looking at all the charm just oozing through my computer screen! YUMMY! 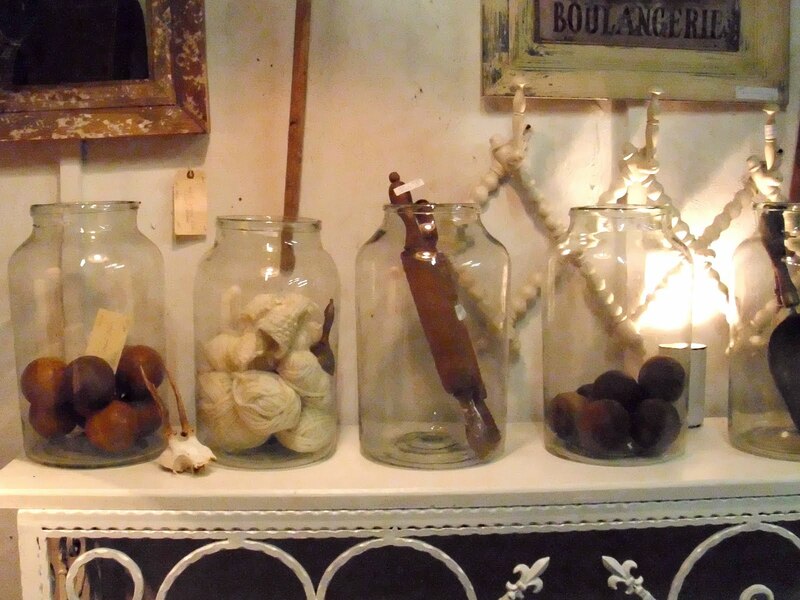 Those Paris jars are so right up my alley….but the price makes me shriek! yikes! lol Thanks so much for sharing! That was fun! Gorgeous post. I would need the truck and a uhaul! Love your granddaughter's cake. So cute as is she! Sherry, what a beautiful family. I bet the kids had a great time. I love your favorite stores, I would kill for either set of chairs that you have shown. I'm on the hunt for dining chairs right now. was amazing! One of the best I have seen! Lots of eye candy! Next time I'm in Destin I'll be sure to check out these two places. Well I thought that cake was a professional job~so amazing that she made it…tutorial? Anyway, I would have had to buy that small Mora clock…and have it shipped home. I have been looking for a clock like that!! What a great spot to antique hunt. Seems like I always find big giant things to drag home. Love the cake, wonderful job on it! Beautiful photo's and I followed the link and love the french shutters on the beach house, the blue is beautiful! Love your Grandaughters cake, looks like it was a fun time! I think I could do some damage in those shops! Lovely stuff. You also have a very lovely family. I can see why those shops are a favorite! I would love to spend some time there too. Sherry, What precious grandchildren. I bet you had the most wonderful visit. 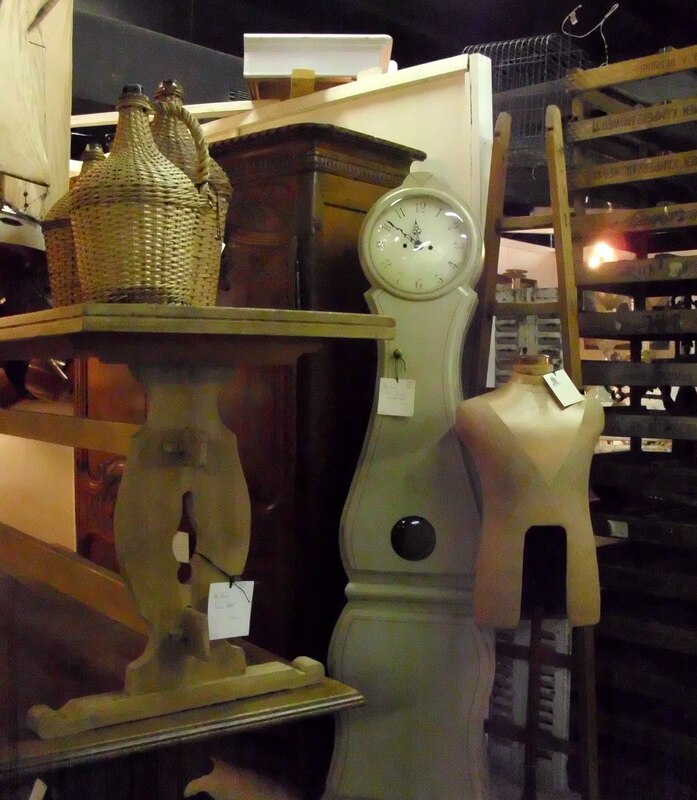 The antique mall was an extra perk… I see why you wanted to go there and shop! That is one beautiful shop. Oh how I adore seeing eye candy. Your grandchildren are so cute. I love the fancy birthday cake. Happy Birthday to your granddaughter Abby. These places look awesome and your grandkids are adorable! Hi Sherry! I haven't made it to those places, thanks for taking photos.. now I want to go! Love that cake too, she did a wonderful job! What an awesome shop. Looks like the birthday party was just as much fun, and that birthday cake is amazing. What a great and fun post! I loved seeing your grandchildren. They're so cute! 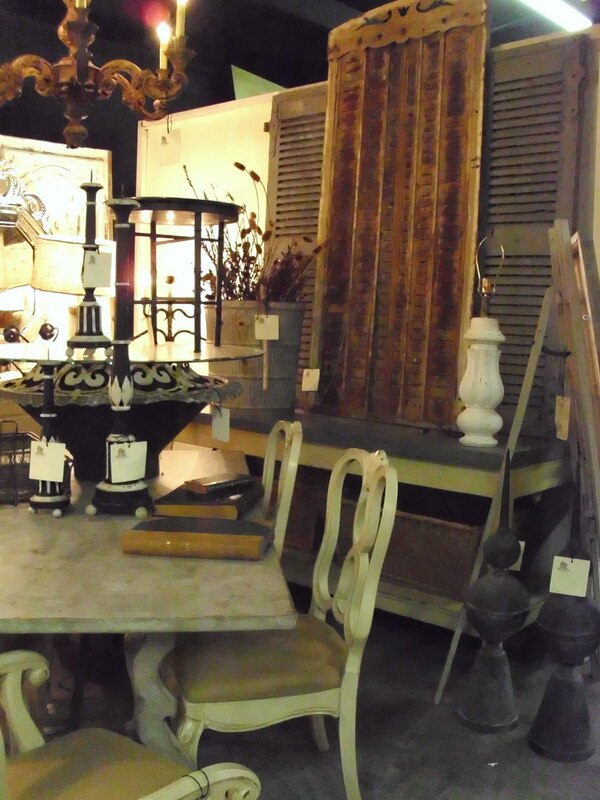 These are plainly fabulous shops! I wish I had family nearby too! I tell my hubs all the time that when I retire I'm going to become a full time traveling professional shopper. My own! Haha I'll have to make a note of these wonderful places. Sweet to see your little darlings! 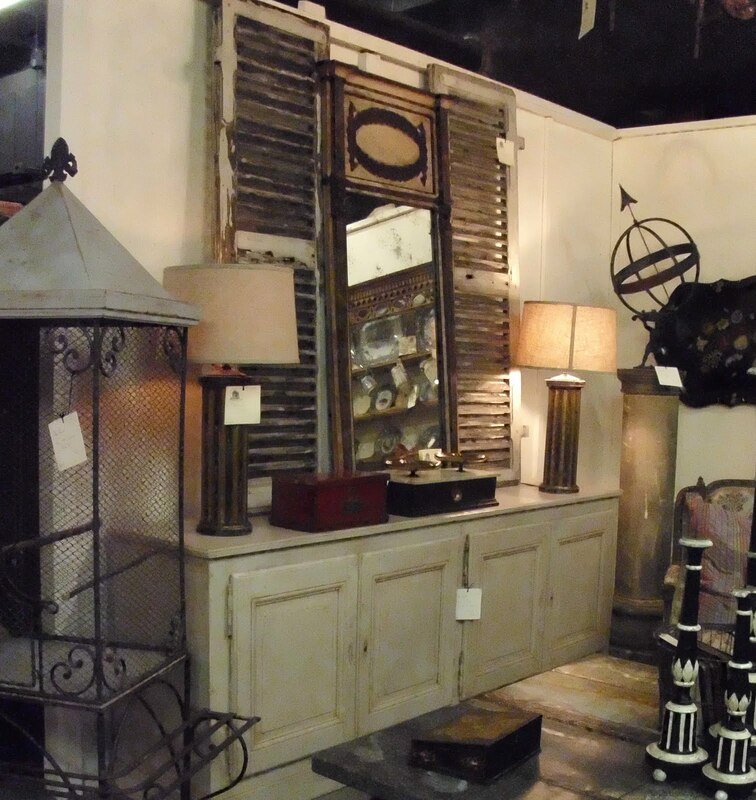 I love shopping with you, Sherry….I love the shutters too and the jars & bottles; the party looks like it was lots of fun! Sherry, thanks for taking us along. I shopped at Smith's when I was in Destine a few summers ago. Great spot. Wish I lived closer! Your grandchildren are too cute and that cake is awesome..I bet everyone had a great time at the party..I like the photos of the shops..Some really unique and beautiful pieces.. These are my favorite shops in the Destin area…so thanks for taking me along with you…it's been a long time since I've been there. What a FUN cake…love it. 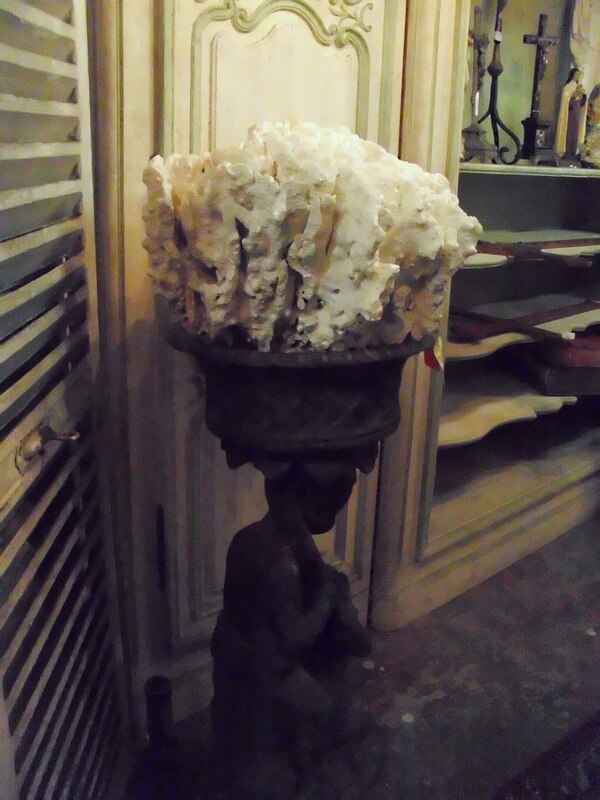 Going to antique stores or flee markets are one of my favorite things to do, beautiful! The cake was very cute! Grandkids too! Going to Smith's is my favorite thing to do if it is raining at the beach. I bought an antique bookcase there several years ago. They helped me in getting someone to deliver it to my home. I have never been to the other antique store there so thanks for mentioning it. I love your pictures…it was like going on a shopping trip with you. VERY cute grandchildren!